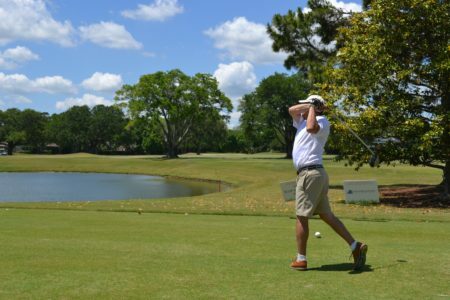 KIAWAH ISLAND, S.C. – Barrier Islands Free Medical Clinic (BIFMC), a non-profit organization that provides free health care to uninsured, low income adults who live or work on Johns, James, & Wadmalaw Islands or Folly Beach, is hosting their 12th annual Golf Invitational fundraiser on May 13, 2019 at the Kiawah Island Club Cassique golf course. The tournament is the largest fundraiser of the year for BIFMC, and provides the operational costs for more than 400 monthly patient visits at the clinic. BIFMC provides healthcare options to the estimated 22 percent of residents on Johns, Wadmalaw and James Islands, all who live at or below 200 percent below the Federal Poverty level and cannot pay for health insurance. The clinic provides free primary care and urgent care, including lab tests and imaging, gynecology, dermatology, psychiatry and more. They help patients address their medical needs, from a common cold to chronic diseases including diabetes, hypertension, coronary disease and depression. Since opening its doors in 2008, BIFMC has provided more than 45,000 free office visits to the deserving residents and workers in the community who may not have otherwise been able to see a doctor. The Clinic recently build a brand new, 7-exam room facility to keep up with the growing demand for services, and has extended their eligibility to uninsured adults who live or work on Folly Beach as of April 1st. Doctors, nurses, interpreters, diabetic meters and strips, lab tests and x-rays (in-kind donation from Roper St. Francis Healthcare) are free for all patients. In addition, medicine is taken care of by the clinic. While each visit is free for the patient, the visit costs are very low compared to a visit to an emergency room. The golf tournament starts with lunch at noon followed by a shotgun start at 12:30pm, with a cocktail hour, silent auction, buffet dinner and awards ceremony to follow. At this time, the event is completely sold out; however the Clinic event is still accepting sponsorships. Currently, Presenting Sponsors of the event are listed as Capital Bank and the Town of Kiawah Island, including additional sponsorships by U.S. Charitable Trust, Andell Inn, Buist Byars & Taylor and NW Freshfields, LLC. To sponsor the Barrier Islands Free Medical Clinic’s Golf Invitational, fill out the sponsorship form that can be found online at www.bifmc.org/golf/. Barrier Islands Free Medical Clinic (BIFMC) is a non-profit 501(c) 3 organization that provides a medical home and continuing primary health care to uninsured adults living or below 200 percent of the Federal poverty level of Johns, James & Wadmalaw Islands or Folly Beach. By implementing the free clinic model of low-cost, volunteer-driven medical care, BIFMC is creating healthier workers and a healthier community. The clinic covers five medical specialties: primary care, orthopedic surgery, dermatology, ophthalmology and gynecology. The Kiawah Island Club is a private membership club available to Kiawah property owners. The club includes two acclaimed golf courses, Cassique and The River Course. For more information, visit kiawahislandclub.com. Cassique’s 7,050-yard golf course ranges through maritime forests and along marshes where the Kiawah River meets the Atlantic Ocean. Since its opening in 2000, the Tom Watson-designed course has garnered numerous accolades and showcases the dramatic flare that has punctuated Watson’s playing career. Watson’s first solo design in North America, Cassique benefits from lessons learned en route to five British Open Championships. With its walkable layout, the par-72 links-style course is reminiscent of tracts found in Scotland and Ireland. Like those classic seaside settings, Cassique offers little protection from ocean winds, so Watson fashioned holes that could be played in numerous ways depending upon the conditions and the creativity of the golfer.